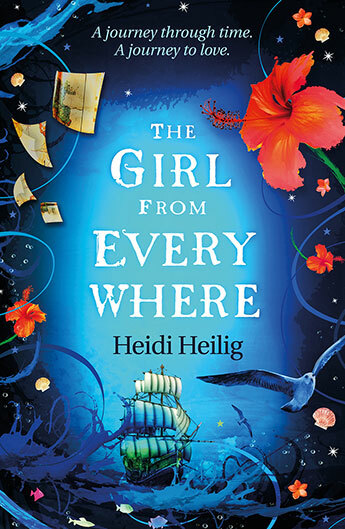 Heidi Heilig’s The Girl From Everywhere is a heady mix of time travel, fantasy, romance and historical fiction for young adults. Nix Song, a sixteen year old lives on a tall ship called the Temptation, captained by her father Slate. Slate has the power to navigate the ship anywhere in time and space so long as he has a written map to guide him. But there is only one thing Slate wants – to return to Honolulu in 1865 and prevent his partner from dying just after she gave birth to Nix. The question that troubles Nix is what might happen to her and her life if he succeeds. Nix is probably the least interesting character in the book. A plucky teenager with father issues and a burgeoning but fairly chaste love life, caught between her roguish shipmate Kashmir and the more straightlaced, shore-bound Blake. But this blandness also makes Nix the perfect guide to this world for the intended audience of the novel, which would be teenage girls at the younger end of the young adult spectrum. As if the time travel element is not enough, there is more than a smattering of fantasy in The Girl from Everywhere as maps of mythical places work just as well as maps of real places. Most of the action in The Girl From Everywhere takes place in late 19th Century Hawaii (with a detour to a mythical ancient China). This is a period and a place that Heilig clearly knows well and the heist which forms the centrepiece of the plot is based on an historical event. With a time travelling ship that can also travel to fantasy realms there is plenty of scope for future books in this series. And given its audience’s ability to identify with the protagonist, one that they are likely to come back for. This review first appeared in Aurealis #94, Science Fiction and Fantasy Magazine, www.aurealis.com.au.